New Verizon iPhone Marketing Campaign Mentions 4G? About to Hate on the Android LTE Parade? Ewww is all I have to say to this image. I hate to report on this subject, but when it comes to this phone on our carrier of choice and all of the reports of Android plateauing, it affects our Android world and we can’t help but toss it out there for everyone to see. 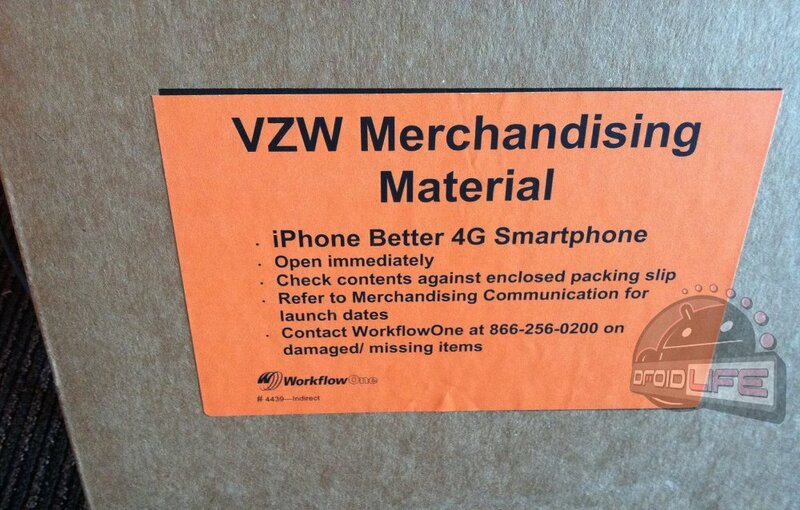 What we’ve got in the image above, is a box full of new marketing materials for Verizon stores that mention the word “4G” and “iPhone” in the same sentence. We’re not saying this means that an iPhone 4G is planned or on the way, but that could be one possibility. Truthfully though, we’ve heard from two sources with the box that say it’s misleading as hell and that the materials included only mention the 3G iPhone. So what we’re really thinking, is that this is the launch of a new campaign which will try to sell customers on the idea that a 3G iPhone 4 is better than any of the 4G Android offerings currently available. Yep, pretty gross. At some point over the last couple of months, I told myself that there couldn’t be a set of commercials that were more pretentious than, “If you don’t have an i*hone…well, you don’t have an i*hone,” but that could be changing. Update: We’ve seen some of the materials that were included in this box and they make no mention of 4G and the iPhone. What a sham of a marketing box. Moving on!